Kachikally Crocodile Pool: The Gambia is blessed by incredibly diverse wildlife, all easily accessible and effortless to encounter. 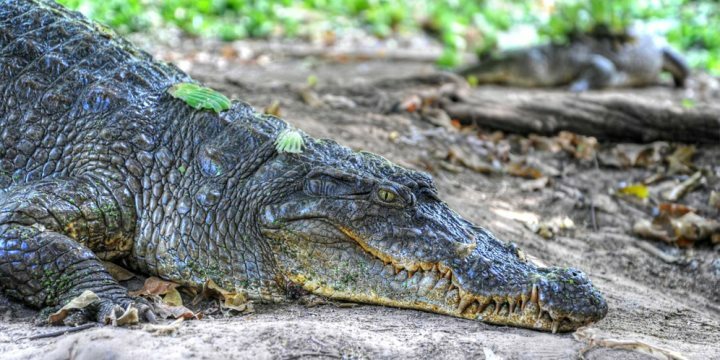 One of the most unique wildlife experiences can be had in the form of the Kachikally Crocodile Pool, home to up to 100 crocodiles, many of which you can get up close to and touch, in a safe environment, as they bask in the sun on the bank. Paradise Beach: There are countless stunning beaches to relax on across the coastline of The Gambia, but one of the most idyllic and entertaining is Paradise Beach. The stretch of sand here is wonderful, while you can also enjoy some delicious food in the neighbouring restaurant. Finally, don’t miss out on the traditional wrestling show held in a mini arena beside the sand – a very entertaining spectacle! Serrekunda Market: The market at Serrekunda showcases the colourfulness of local life, presenting a hustle bustle experience of sights, sounds and smells. You can pick up some great souvenirs here, as well as mix with the local community and get a great cultural impression of the area. The River Gambia: The famous river which snakes through the heart of the entire country, witnessing the River Gambia and experiencing the incredible landscapes and nature which surrounds it is a must during a holiday to the country. Whether you head further inland to spot hippos in their natural habitat, or experience a relaxing cruise as you encounter the diverse birdlife of The Gambia, it is an opportunity not to be missed. Tanji Fishing Village: Another great way to gain a comprehensive insight into local life is through a visit to the Tanji Fishing Village. Watching the colourful boats bobbing on the ocean as locals carry in giant baskets of fresh seafood is a mesmerising sight, while the heritage of the country’s fish-smoking is just as intriguing.